Hi again! It’s Gabriella. I am one of the CKA Correspondents “On The Loose”. As a blogger and field reporter, I will be reviewing several of my favorite restaurants specializing in vegan fare. Stay tuned for my CKA Correspondent videos for LA’s coolest foodie locales coming soon! As I walked into Hugo's Restaurant, I was welcomed warmly. The hostess greeted me with a smile and sat me right away. The restaurant itself is very open, which I like. One side of the main room has doors that remain propped, leading to an enclosed outdoor section. All of the walls, chairs, and tables in the entire restaurant are light wood, brightening the room. The light from outside cascades off the wooden table tops, further illuminating the room. There are lots of green plants as well, adding pops of color. Overall, the combination of the bright, open eating areas and greenery create a very homey and calm atmosphere. I sat and ate beside a window. The light shone through the window beside me, as calm music played in the background. It is safe to say that I enjoyed my serene eating experience. Time to eat! For an appetizer, I got the Asian Spring Rolls. Lately, I have had this random craving for spring rolls. This crave was thoroughly satisfied! These spring rolls were delicious. 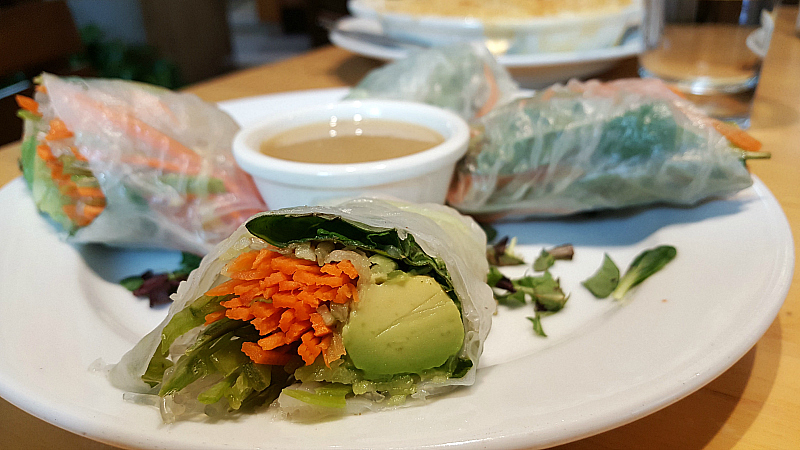 They were filled with snow peas, carrots, cucumbers, avocado, kelp noodles, and fresh herbs. The kelp noodles gave the roll a super nice crunch. The cucumber and carrot slices were cut so thinly that their crunch was almost lost, so the crunchiness of the noodles was a great addition. The mild sesame-chili dipping sauce that came with the spring rolls was both tangy and sweet, and paired well with the dish. My main course, however, did not impress me as much. I got the Hugo Veggie Burger on top of their homemade bread, with a side of fries. This entree was very dense. The homemade bread, while good, was very heavy. This burger would have been better if it had been in a lettuce wrap. The burger patty itself had really nice flavors and tasted very fresh! My issue with the burger was that it was all the same texture. It was mushy from the top to the bottom. I personally would have preferred if it had a bit more crunch to it. I had the same issue with the fries. The fries had no crunch and were very soft. They were also seasoned in a plethora of different seasonings, hitting my taste buds the wrong way. For dessert, I got the Mixed Berry Cobbler, which was really yummy. While the texture again was slightly mushy, the crispy pieces of granola on top saved the dish. The flavors of the berries were really spot on, and it tasted very fresh! To finish off my meal, I ordered a ginger turmeric tea. I love turmeric tea and often get it wherever I can find it. This tea, in particular, was really, really good. It had the perfect balance of turmeric and ginger so that it was not too spicy, and it paired really well with some honey. 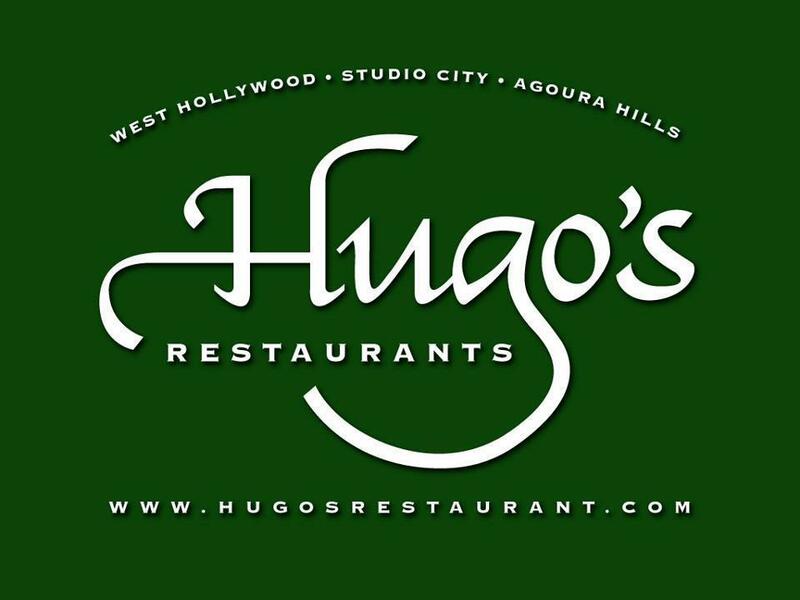 I would absolutely recommend Hugo’s to anyone looking for a nice, comfort food-type meal. Overall, while there were some hiccups, I had a really pleasant dinner. 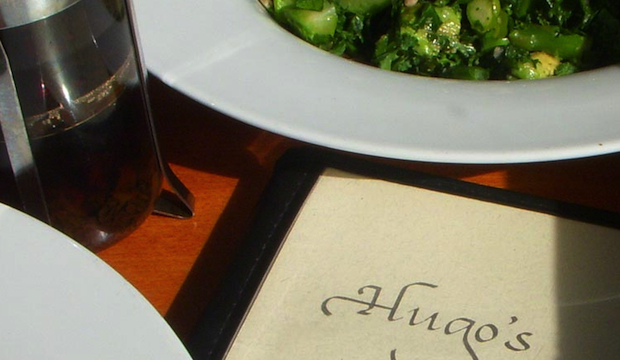 That said, I advise you to pick simple dishes when you eat at Hugo’s. The more a chef must work to make a traditionally non-vegan dish vegan, the more accommodations need to be made. I like to stick with foods that are naturally gluten-free and vegan, because I find that they are more easily digestible and taste better. **Gabriella Resnick is an eighteen year old senior at de Toledo High School, and author of www.involuntaryvegan.com, who has been a vegan "not by choice" since 2015. Email her at info@culinarykidsacademy.com.